Die CDU/CSU-Fraktionsvizechefin Ilse Falk hat die Gegner von Internetsperren per Access Blocking beschuldigt, Kinderpornografie zu fÃ¶rdern. Dass viele in der CDU vom Internet wenig bis gar nichts verstehen hat SchÃ¤uble ja schon ausreichend gezeigt. Sich aber auf so ein grandios niedriges Niveau zu plappern, wo sich jegliche Diskussion von vornherein als sinnlos darstellt – das ist schon eine Leistung. Da gehÃ¶rt mehr dazu, als nur bloÃŸes UnverstÃ¤ndnis der Gegebenheiten im Netz und massive Ignoranz gegenÃ¼ber den Folgen der eigenen PlÃ¤ne. Wie hat diese Frau es bitte zu irgendwelchen Ã„mtern gebracht? This entry was posted in Uncategorized and tagged CDU, Ilse Falk, Politik, Zensur on 2009/02/16 by Thomas. Vor ein paar Tagen habe ich mir eine Soup angelegt. Da poste ich jetzt alles, was mir so im Netz begegnet, was ich bemerkenswert finde. Hier bei WordPress ist mir das Posten einfach zu kompliziert fÃ¼r sowas. Vielleicht schaffe ich es noch, die Soup hier zu integrieren – erste Versuche Ã¼ber das WordPress-RSS-Widget sind leider gescheitert… Bis dahin sinds halt zwei getrennte Blogs. This entry was posted in Uncategorized and tagged Soup on 2009/02/09 by Thomas. This entry was posted in Uncategorized and tagged video, Wingsuits on 2009/01/15 by Thomas. Spring recently released their DM server. The DM server is an application server that is tightly integrated with OSGi and allows deployment of Spring web apps as OSGi bundles, giving them all the features of OSGi and those of Spring. Awesome idea, so I wanted to play with it. But for people like me, who have never worked with Spring before, getting started on developing for the DM server is a bit tedious. There is little documentation for newbies, most tutorials that I found require previous knowledge of Spring and mostly cover porting an old Spring app to the DM server. So I decided to write down my experiences getting started with it in the form of a tutorial on getting started for people who know about OSGi but have never used Spring. If you know what OSGi is and how to write OSGi bundles and have general knowledge about programming and using programming tools you should be well prepared for this tutorial. Afterwards you should be well prepared to write your own apps that use Spring’s features and OSGi, though some more reading on Spring is probably a good idea. This tutorial will cover the setup of the environment as well as the development of a Hello World application. I will include all required steps to start from scratch, with no previous tools installed. The setup of Eclipse, the Spring DM Server and the Spring tools for Eclipse will be covered here. You should have a basic understanding of Eclipse if you want to understand what happens in this part, though understanding it is not too important when you just want to develop the apps. If you know your way around Eclipse and have worked with it before you should be done in a couple of minutes with the setup since there isn’t really that much hard stuff here. After the setup I will write a hello world app to run on the DM server. This serves as a guideline that describes how to go about developing such applications. This can be used to cover the very basic getting-started steps for Spring development, because I don’t expect any previous knowledge. Here you will learn how to use the tools that were installed in part one. There were some things here that I found to be non-obvious and that stopped me for some time, so this part covers the stuff that got me to think I should write this tutorial. The next thing to install, if you haven’t done so before, is Eclipse. Eclipse is, especially when you want to develop OSGi bundles, the best Java IDE I know of. Since you’ll develop a web application, get the IDE for Java EE developers, because it includes all necessary plugins for web development. Eclipse doesn’t need to be installed, you can simply unzip it to any folder. When you start Eclipse, you will be asked for a workspace location. This is where all files of your projects will be stored. Use any folder you want, though it should be empty to make your life easier. Next up: The Spring Eclipse plugin. Open Eclipse and go to Help -> Software Updates… Click on “Available Software” and then on the “Add Site…” button on the right. Add Spring’s update site, which is http://dist.springframework.org/release/IDE and from there install “Spring IDE Core” and “Spring IDE OSGi Extensions”. You will also need the dm server Eclipse plugin. Add another update site, http://static.springsource.com/projects/sts-dm-server/update, and install the SpringSource Tool Suite dm Server Tools. The final step is to setup the Spring DM server as an application server that Eclipse knows about. Go to Eclipse’s preferences and there to Server -> Runtime Environments. Click the Add…-button on the right and select SpringSource -> SpringSource dm Server (Runtime) v1.0. Make sure to check the “Create a new local server” checkbox at the bottom. After clicking Next>, you will be asked to enter a name for the server (choose any name) and then you need to choose the installation directory of the server. Select the directory you installed the server to, so in my case I entered /Developer/Spring-DM-Server/springsource-dm-server-1.0.1.RELEASE. Click Finish. As a final step for the setup of the environment we will try to start the DM server from Eclipse. Go the the “Servers” tab on the bottom of Eclipse (if you still have the default layout), or open it via Window -> Show View -> Other… -> Server -> Servers. Select your server and click on the “start” button (white triangle on green background) or right-click and select start. When the state has changed to “Started”, open a web browser and open http://localhost:8080. The server’s start page should come up. You can open the admin console by clicking on the link and entering the default credentials (Username: admin, password: springsource). You will then see a list of the deployed applications which, for now, is almost empty. This concludes the setup part of this tutorial. In the next part we will put all of this to use in a simple hello world app. Now, with a working development environment, we will develop a hello world app. The app will consist of two bundles: One OSGi bundle which will publish a service and a second bundle which will contain a web app that uses this service to display the greeting on a web site. In regular OSGi, we would now create a BundleActivator which would instatiate the service implementation and register it upon startup. However, since we use Spring’s DM server, we don’t have to – Spring takes care of this. You still can, though, and it will work fine if you do – which is nice for porting old applications onto the DM server. You can see that we have registered the implementation class as a service with the service interface that we developed before. Upon starting this bundle, the DM server will now instatiate the HelloProviderImpl class and register it as a HelloProvider server in the OSGi service registry so that other bundles can use the service. In order to allow them to do it, we need to export the interface. Open the bundle’s manifest and go to the Runtime tab. Add the com.loetzer.helloprovider package to the exported packages. Make sure not to export the implementation package. Now we need to develop the web application that uses this service to display a greeting. Again create a new Bundle Project and call it GreeterUI. This time select “Web” as the Module Type. On the bundle properties screen, put “greeter” into the textbox for the context path. This is the path on the application server that will later host your project. Next, import the org.springframework.spring library in the bottom right corner of the screen. The setter will be used by the DM server to set the reference to the HelloProvider service which we have registerd in the OSGi service registry before. The handleRequestInternal will be called by spring when the user opens the associated web page. In this case the logic is very simple and gets the greeting from the greetingProvider. The view name will be resolved to a JSP which gets rendered and set back to the client. The first bean is the Controller. Spring will now look for a setter for the property called greetingProvider (using standard Java naming conventions, i.e. it will look for setGreetingProvider) and take the reference with the id “greeter” and pass it to that setter method. The other two beans are standard spring beans. The view resolver is used to – who would have thought – resolve views. It is responsible for mapping the “mv.setViewName(“greetings”);” call to a JSP. In this case, it will simply append /WEB-INF/jsp/ and .jsp to the passed string and look for a file with that name in the bundle. The URL mapping maps URLs to controllers, in this case all requests for /index.htm will be handled by our GreetingController. simply prints the string representation. [2008-12-26 20:23:39.604] nnection(4)-192.168.78.1 Deployment of ‘HelloProvider’ version ‘1’ completed. [2008-12-26 20:23:40.644] nnection(4)-192.168.78.1 Creating web application ‘/greeter’. [2008-12-26 20:23:40.735] async-delivery-thread-1 Starting web application ‘/greeter’. [2008-12-26 20:23:41.130] nnection(4)-192.168.78.1 Deployment of ‘GreeterUI’ version ‘1’ completed. When you have seen these, open your browser and point it to http://localhost:8080/greeter/index.htm and you will be greeter with whatever you wrote into your HelloProvider. This concludes the tutorial. You now have a fully functional development environment for spring web applications and have a basic understanding of how to develop for Spring’s DM server and use it’s OSGi integration. You have seen how to register services, how to get references to registered services and how to use Spring MVC. With this, you are well prepared to go explore on your own and write some fun applications. If you have any feedback on this tutorial, a suggestion for improving it or have found a mistake I have made, please write a comment on this post. I would love to hear from you! Until then, have fun with Spring and OSGi! This entry was posted in Uncategorized and tagged DM-server, Eclipse, OSGi, Spring, Tutorial on 2008/12/27 by Thomas. This entry was posted in Uncategorized and tagged Selbstreferenz, Theme on 2008/12/27 by Thomas. Nach der Terror-Attacke auf Mumbai hat die indische Luftwaffe unweit von Neu Delhi Jagdflugzeuge MiG-29 stationiert, um die Hauptstadt vor terroristischen Luftangriffen zu schÃ¼tzen. Nachdem also einige Leute mit Booten unterwegs waren und in Hotels um sich geschossen haben kauft Indien sich Flugzeuge?! WTF?! Was hat das eine mit dem anderen zu tun? Wie viel Quatsch muss man eigentlich in eine Meldung packen, bevor wirklich jeder merkt, dass das Quatsch ist? This entry was posted in Uncategorized and tagged Indien, Medien, Terrorismus on 2008/12/18 by Thomas. 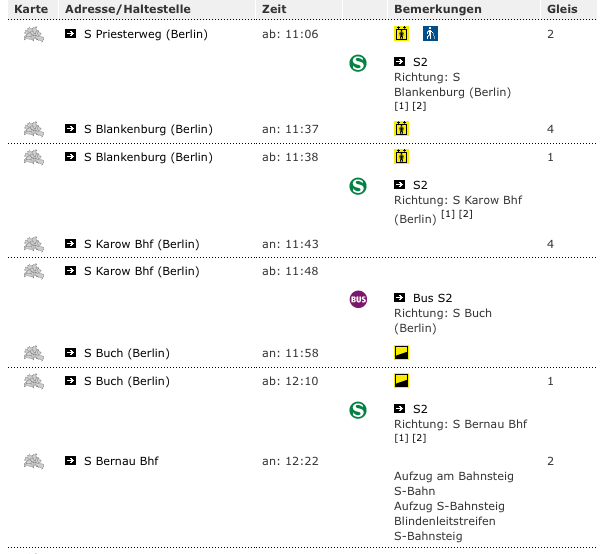 Was will mir die BVG damit wohl sagen? This entry was posted in Uncategorized and tagged BVG, S2 on 2008/10/17 by Thomas. Als ich grade bei Engadget dieses Foto der Packung der PSP 3000 gesehen habe, dachte ich erst: Cool, ein Artikel Ã¼ber Retro-Gaming. Meint Sony das ernst? Die Packung ist doch aus Zeiten des NES. So kann doch niemand heute ernsthaft mehr aktuelle Konsolen verkaufen. 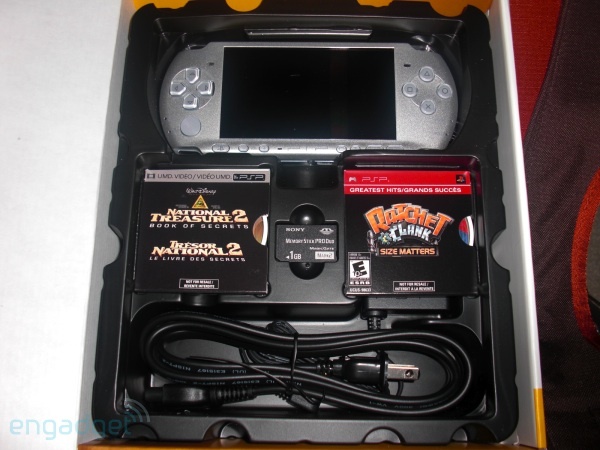 This entry was posted in Uncategorized and tagged engadget, psp, psp3000, Sony on 2008/10/13 by Thomas. This entry was posted in Uncategorized and tagged Blinkenlights on 2008/10/04 by Thomas.